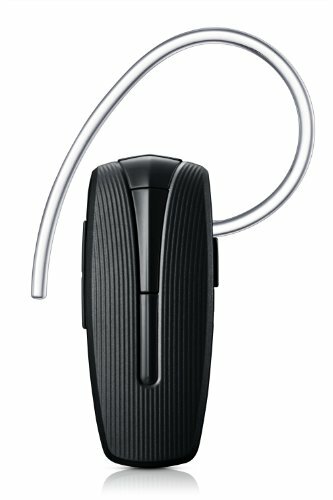 The Samsung HM1300 mono Bluetooth headset offers the perfect combination of value, function and style for users seeking a handsfree device that easy to use and simple to configure. The HM1300 features Simple Pairing technology, automatically pairing with the closest Bluetooth-enabled device. Simply turn on the Bluetooth feature on your smartphone, then select the HM1300 and you’re connected; no passcode needed. And with built-in Multipoint Technology, you can pair the headset to two different devices at once for seamless integration across devices. This feature is indispensible for users who carry both a business phone and a personal phone, or online gamers who like to play on multiple platforms. The HM1300 features Bluetooth Version 3.0 for blazing speed and crystal clear call clarity. It is compatible with all Bluetooth-enabled devices, including the Samsung Galaxy S3 and iPhone 5. Beware of Imitations! All authentic Samsung products will have a holographic sticker visible on the product packaging signifying that you have purchased genuine Samsung product. If you receive a product and the sticker is non-existent, has been removed or the packaging appears to have been tampered with, please report this to the reseller that you purchased the product from immediately. Solid, Simple Workhorse I was actually quite impressed by the Samsung HM1300. For what almost appears to be yet another cheap, black bluetooth headset really turns out to be a very solid, simple, workhorse of a device. Very easy to set up, simple controls. If you’re looking for a no frills, set it and forget it and just talk device – this is it. Sound quality is very good on both ends. Worth the money but don’t expect perfection! It’s a keeper. It’s not a bad headset. Better than some of the cheaper ones out there but certainly not perfection.